Considering a family trip to a Disney amusement park requires remortgaging your home, when one thinks of Disney, they rarely ever think of the word “free”. 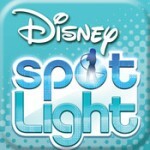 But we have searched far and wide to find the best 6 Disney apps for your iPad, which also happen to be free. The whole family can sing along to their favorite songs with this app. Use songs from your iTunes library or purchase new ones within the app. The song’s lyrics stream through the app and cue you to sing. Other features include a built-in pitch correction and vocal lessons. For more fun, add in some voice effects like reverb, tone, and echo. And to make the fun last, record the audio of your skills to play over and over again. But while the app is free, you will need to purchase a microphone. 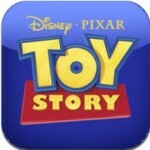 Hang out with Woody, Buzz and the gang with this interactive storybook. Your child can have the story read to them, read it by themselves, or customize it to have your voice – or theirs – read the story. The pages can turn manually and tap the screen to hear sound effects and voices from the characters. The app also includes games, movie clips, coloring pages, finger painting, sing-along tunes, and surprises on every page. Who doesn’t love Phineas & Ferb? And who doesn’t love the game Where’s My Water? Well the two have joined forces to create this puzzle game. Where’s My Perry? features 4 chapters with more than 80 puzzles to solve. 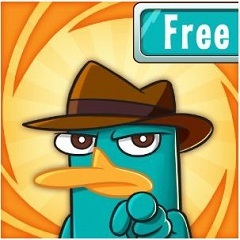 Players need to help Perry move through the levels to get to headquarters. Each level has collectibles to help you advance to become a master spy and there are some top-secret collectibles that will unlock bonus levels. This animation app allows your child to create pixel art. They can create something from their own imagination or use the included Disney characters. Then watch the creations come to life with the app’s “frame-by-frame animation system”. The app includes 20 frames, 3 drawing levels, and shape tools. Your child can share their art via social media sites and with iCloud sync, they can access their gallery across all iOS devices. 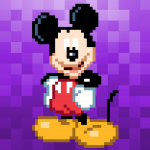 There are in-app purchases to buy stamp sets and expansion packs with additional Disney characters. 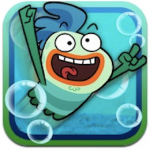 Meet Milo the fish and his friends from Freshwater High in this puzzle adventure app. Milo needs to make and pop bubbles to get through the ocean puzzles. He also bounces off turtles, surfs whirlpools, fly through tubes, and free falls. There are 50 levels of play and your child can unlock 5 new friends of Milo for additional characters. Don’t forget to collect apples as you play for points. Based on the hit kid’s show, there are 4 different classes for your child to take in Jake’s pirate school – Sailing Class, Pirate Band Class, Map & Spyglass Class, and Pixie Dust Class. Each one has different levels, uses locations from the show, and is sure to keep your little one entertained for quite a while. 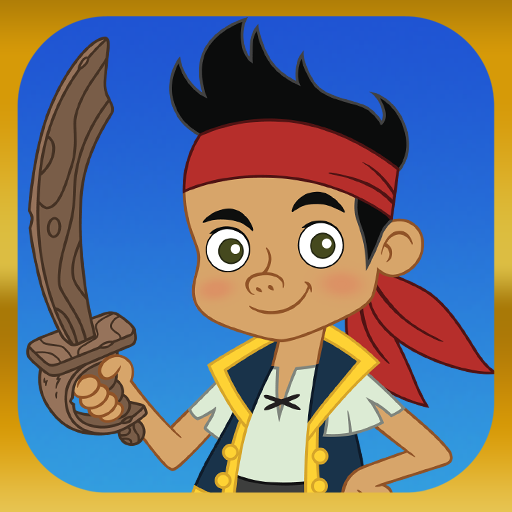 You can also create a pirate by using your child’s photo. Collect enough gold doubloons and your child will receive their Official Never Land Pirate Certificate.